Andy Peck in Christanity Magazine writes about the ancienst paths and the new journey for monastics from the modern church. So you discover that a friend has left your Anglican church and is now worshipping with Baptists. Are you bothered? It might depend why he or she left, but in these days when denominational ties are weak you’d probably barely give it a thought. After all, within evangelicalism the beliefs and service style will be pretty similar whatever the name on the building. But this is happening in growing numbers. Many evangelicals have moved to join the Catholic and Orthodox Churches or embraced some of ancient traditions (practices typically associated with these churches) within the last 30 years. Some of these figures are quite high profile. Francis Beckwith, the president of the Evangelical Theological Society, for example, reverted to Catholicism. On this side of the Atlantic, Michael Harper, at the forefront of the Charismatic Renewal in the Anglican Church and one time editor of Renewal, which later merged with Christianity, left the Anglican Church in 1995 to join the Orthodox Church; Rev Prebendary Nick Mercer, one time minister at Upton Vale Baptist Church and later director of training at London Bible College, now serves as vicar general for the London College of Bishops within the Anglo-Catholic tradition. And there are many like them. Interesting perhaps, but how is it relevant to you if you are in an evangelical fellowship? 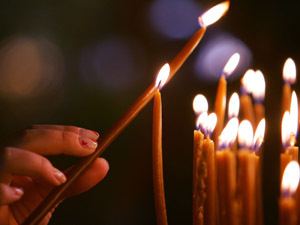 Many evangelicals are bringing these ‘ancient traditions’ – practices normally associated with the High Church/Roman Catholic Church – into corporate worship and private devotions: liturgy, incense, meditation, fasting (when it isn’t even Lent) retreats, spiritual direction, scripture reading and prayer using methods perfected in monastic life. These people don’t see ancient traditions as ‘lifeless ritual’ but a vital part of their moving forward with God. 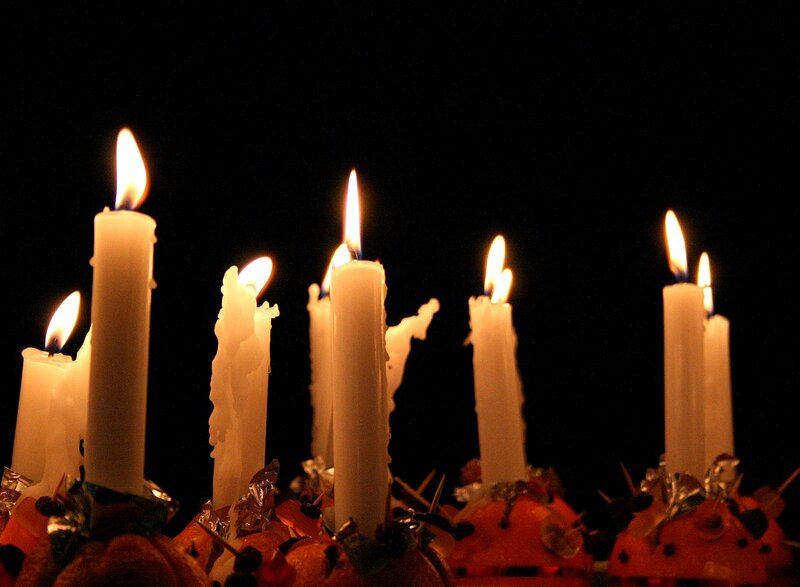 So why are some evangelicals switching churches and others embracing ancient traditions? Here are five explanations they might give. On February 8 1952, CS Lewis wrote to the Church Times of the great unity that existed between the high (Anglo- Catholic) and low (Evangelical) churches over against the liberal and antisupernatural churches. He used the phrase ‘Deep Church’ or ‘Mere Christianity’ to describe their common faith. Recently this ‘Deep Church’ language has returned to describe the truths shared by Churches (such as Catholics, Orthodox and Protestant). But most evangelicals typically didn’t accept this: jumping from the book of Revelation to the Reformation and the break with Rome. Evangelical essentials including salvation through grace by faith reminded them (as every new believer came to faith) of the evils of any religious approach that favoured works rather than the work of Christ, which would include of course classic Catholic and Orthodox doctrine – at least as they understood it. Many forget, or render insignificant, that for a thousand years from AD 37-45 to AD 1054-66, all believers in the UK were part of the undivided Orthodox Catholic Church – the latter date representing the time when the Bishop of Rome split, forming what we know as the Roman Catholic Church. In those days of course, the visual and symbolic were especially important in telling the faith story. In recent decades many have realised that evangelical heritage has to include this period, (or was God absent for 1,000 years?) and concluded that the basic tenets of Catholic, Protestant and Orthodox Churches are the same: indeed David Watson, at the forefront of charismatic renewal in the 70s and 80s, even concluded that the Reformation was not necessary! Many evangelicals have concluded that we can happily drink from one another’s cup without becoming contaminated; it is time that the old divisions were repaired. For many, the impetus to be open to ancient traditions came when evangelicals and charismatics discovered that people with a Catholic or Orthodox (such as Greek, Russian) heritage were exhibiting the signs of the very life God had given them – indeed at an experiential level, charismatics found they had more in common with charismatic Catholic and Orthodox believers than their conservative evangelical cousins. Evangelicals were forced to either conclude that this was ‘human’ or the devil, or indeed the work of God: maybe God didn’t have the same theology of the Reformation which they had! Asked why he had left Anglicanism to join the Orthodox Church, Michael Harper said, “The Holy Spirit!” and that for him and his wife, the experience felt like “coming home”. Many within a charismatic background are finding that they can combine openness to the spirit with aspects of Deep Church. Many more, weary of hype concerning predicted revival about to head over the horizon, preferred a backward look to a creedal faith and practices with firmer foundations than the shifting focus of the latest fad. Other evangelicals have found that the staples of Bible study, prayer and strong preaching weren’t leading to godly living. They knew the truth but it didn’t change them at a heart level. Looking for more, they found writers like Richard Foster, who in his book, ‘Celebration of Discipline’ explains that disciplines such as fasting, solitude, silence, meditation (so called Catholic practices) had actually been in the Bible all along. These were not ‘works based’ as often thought, but a God-given means of growth. More latterly his mentor, Dallas Willard (author of ‘Spirit of the Disciplines’, among others) has shared in print and in conferences how he learned to value the pre-Reformation saints. John Ortberg popularised such teaching further in ‘The Life you’ve have always wanted: spiritual disciplines for ordinary people’. Publishers such as that bastion of evangelicalism, IVP, now have an imprint, ‘Formatio’ dedicated to such material. Many have sought out ‘spiritual directors’ skilled in the art of helping people notice and welcome the presence of God into their personal lives, skills largely found within Anglo Catholic, Catholic and Orthodox settings. Hence even evangelicals deeply suspicious of ecumenical unity, and even of the legitimacy of modern non-evangelical denominations, were prepared to practise what the ancients practised and many found, to their surprise, God working in ways they could scarcely have imagined. But if it is starting to sound as if this ecumenism is all about evangelicals who have become more broad-minded in their old age, there are streams within the emerging church movement (typically younger people) which are mixing vintage wine along with that newly harvested. In ‘Punk monk: new monasticism and the ancient art of breathing’, Andy Freeman and Pete Greig chart the rise of Boiler Rooms – places where prayer is conducted 24/7 and a community is built around a pattern of prayer, study, celebration and caring for the poor and lost: patterns which sound remarkably like those in a monastery, but then you guessed that already. From humble beginnings in Reading, there are now 56 Boiler Rooms in 14 countries. In his book ‘The new conspirators’, Tom Sine highlights the ‘new monasticism’ that has developed, including The Order of Mission at St Thomas Crookes Church, Sheffield and The Iona Community, Northumbria Community and the Order of St Aidan and St Hilda who both follow a ‘rule of life’ under the oversight of Franciscan brothers. Practices thought by evangelicals to signal withdrawal are seen by some to represent the very basis for engagement and service that a modern, rootless generation needs. Inevitably many church trends mirror the cultural environment. Is it any surprise that a postmodern world with its mistrust of texts and authority would value the visual and aesthetic offered by ancient practices? Hence many evangelicals who once eschewed anything showier than a text on a banner or a decorative communion tablecloth, see the majestic, almost theatrical services of High Church as potentially attractive to seekers – witness the recent boost in attendances of Christmas mass at cathedrals nationwide. 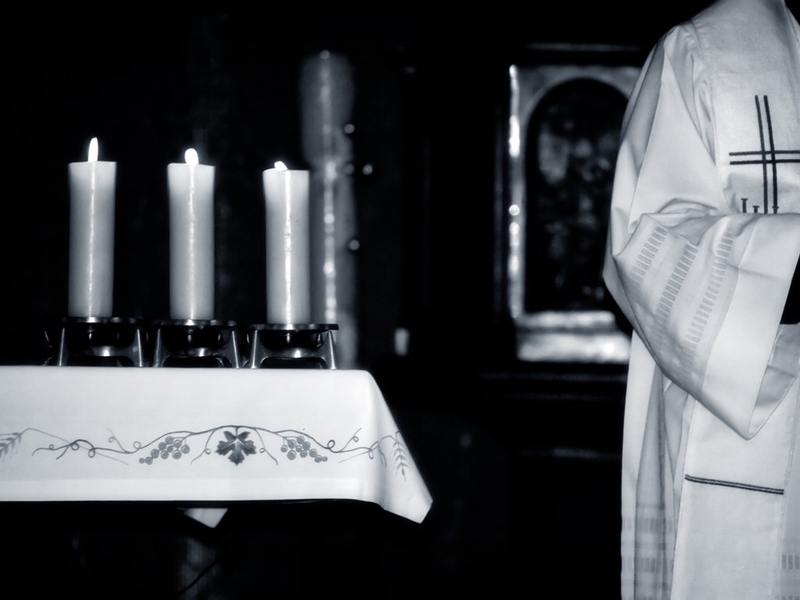 Some within the emerging church incorporate ritual, art, symbolism and liturgy into their gatherings as they help postmoderns connect with God. So what do you make of all this? Should you welcome it, be alarmed or just be neutral? For a start we need to say that it’s not a case of ‘We are all going to Rome, Moscow and Athens, will the last one to leave evangelicalism please turn out the lights’. We don’t yet know whether to describe this as a trickle or a stream. Clearly there is a difference between changing churchmanship and adopting practices which cohere with evangelical distinctiveness. Maybe evangelicals can be positive if changes in churchmanship are made out of genuine convictions in a heartfelt embracing of how God is leading them. And it would be churlish in the extreme for evangelicals to be prejudiced against practices included in scripture just because they perceive them to be ‘High Church’ or ‘Roman Catholic’. However, it also needs to be noted that although evangelicals have missed and lost some of the insights of pre-Reformation Christianity, let’s be clear that this wasn’t all good either. The ancient traditions did not save the ancient churches from a quagmire of ritualism that gave Christianity a bad name. God had to send a new wave of the spirit in Pentecostalism in the early 20th century. So as evangelicals reject a sectarian approach, they need great wisdom to assess what it is appropriate to embrace. There were good reasons why evangelicals historically rejected the aesthetic and visual dimensions of faith knowing that the New Testament was keen to break with those visual and ritualistic parts of Judaism that had been replaced with Christ. All spiritual disciplines, (evangelical classics such as Bible reading, prayer and listening to God’s word preached, as well as fasting, meditation, spiritual direction and monastic living) are tools God can and will use, but need to be used properly lest they merely pander to a self-obsessed age and aid a Christian retreat into cloistered environments. For many, embracing ancient traditions has served that end – and even if you decide it’s not for you, hopefully it will be with a greater respect for those who kept the torch of the gospel shining in the past so that future generations, like you, may live in its light. Something that I have been thinking about for a time is a rule of faith. The benedictines and most monastic orders have them, but I have very much like the Rule of St Benedict. And so my church is currently looking to introduce this is a slightly different way. We would like to introduce it as mission, a personal mission possibly as a primer to baptism but also as a help to spiritual growth. I have approached looking ahead to it being used as a baptism primer and for furthering spiritual growth/discipline and discipleship of all. I have considered an online format but on reflection I think we should print our own books. This can be done quite cheaply at http://www.bookprinting.org.uk/ or a similar site. This has the advantage of being to carry it and freely access it anywhere. Forty days which is in keeping with Jesus time in the Desert/Moses on the mountain/Jews in the desert and is a time period of transformation in scripture. 6 weeks and 2 days – for instance it could run from on Sunday Jan 11th and that means it would run through to feb 27th. Percentages may make it feel it’s about money or people are in some way having to pay for the course which may detract from the spiritual aspect of it. Initially this could be divided among the three leaders. An interesting paper I cam eon across browing recently. ‘Some of these resemble “third order” societies—whose members have a primary church commitment outside of the order, but who live according to the order’s Rule. Others function as primary church groups—ie. the community functions in all respects as a church, including pastoral care, the ministry of word and sacrament etc. Some are now well established and others comparatively new. perhaps because our society needs to see and alternative way of life…. perhaps because our churches need to see an alternative way of life…. In the years since the Second Vatican Council, the various traditions of Christian faith have participated in an ecumenical gift exchange for their mutual enrichment. Catholics have embraced Protestant strong points like singing the faith and closer familiarity with the Word of God. Protestants have increased their celebrations of the Eucharist and rediscovered helpful practices like spiritual direction. An article entitled “The Unexpected Monks” in the Feb. 3 issue of the Boston Globe is only the latest indication of the ecumenical gift exchange. The article reflects on the rise of the New Monastics — “some 100 groups that describe themselves as both evangelical and monastic have sprung up in North America” — who come from a variety of Protestant traditions. They share a common dissatisfaction with what they see as the over-commercialized and socially apathetic culture of mainstream evangelicalism, especially in its “prosperity gospel” expression. Both Luther and Calvin removed monasticism from the range of legitimate forms of Christian living. True Christians, said the 16th century reformers, were to be engaged with the world, not spending their time chanting in Latin. But today increasing numbers of evangelical congregations have created relationships with Catholic monasteries and join the monks for spiritual retreats. They are discovering prayer and study as ways of engaging with and for the world, but they are not stopping there. The new monasticism that is evolving does not aim to separate itself from society, is environmentally conscious and cares about social justice. Nearly all the New Monastics have regular jobs and social lives, and many of them are married. In his book Monastic Life and the Ecumenical Dialogue, Bianchi shares three reasons why monastic life provides a particularly ecumenical terrain. First, monasticism precedes the divisions in the church. It is a human phenomenon with its own anthropology (celibacy, community life or solitude, asceticism, the search for the absolute) even before it became a Christian phenomenon. It is for this reason that interreligious dialogue (such as the North American Monastic Buddhist-Catholic Dialogue) takes place in monasteries more than elsewhere. Secondly, monasticism came into being as a radical commitment to follow Christ, and therefore as a pathway to holiness. When holiness is pursued in religious life, even in different churches, it is a unifying force. Holiness allows us to realize that confessional walls do not rise as high as heaven. It was the French priest Abbé Paul Couturier — the same one who shaped what we now call the Week of Prayer for Christian Unity — who said that at a certain degree of holiness, confessional differences lose their force because holiness looks beyond the division of the churches. If monastics truly respond to their vocation of inner unification, communion lived visibly and continually renewed reconciliation and mercy, says Bianchi, they will be servants of unity and ministers of ecclesial communion. A third reason that makes monasticism a natural site for ecumenical dialogue is that it has always sought to be a life of conversion. As the dictum goes, “the church is always reforming itself,” but in the history of the church concrete expressions of reform have been few, and what reform there is tends to be put into effect slowly. In monastic life, on the other hand, every century has seen a reform in which there has been an effort to return to the sources and begin again, in a more profound obedience and faithfulness to the Gospel. Because of the centrality of the word of God in monastic life — the office, lectio divina, Eucharist — and the resulting emphasis on reform, monasticism is capable of speaking the same language as the Reformed churches and of being their authentic dialogue partner.